I hope the ISIS NWO headcutters are invited to DAVOS as a matter of inclusion to help the kumbiya gathering go as planned? I'm sure the Christians of Syria would approve. Davos 2015: whatâ€™s on the agenda? The 45th Annual Meeting of the World Economic Forum, which will take place 21-24 January in Davos-Klosters, Switzerland, is to convene under the theme, The New Global Context. The theme reflects the period of profound political, economic, social and technological change that the world has entered, which has the potential to end the era of economic integration and international partnership that began in 1989. Participating in the meeting will be 2,500 leaders, including the heads of 1,000 of the worldâ€™s largest and most successful businesses, heads of state or government from the G20 group and other nations, the heads of the worldâ€™s foremost international organizations alongside leaders from civil society, labour unions, the worldâ€™s major religions, media and the arts. The Forumâ€™s New Champions communities; Young Global Leaders, Global Shapers, Global Growth Companies, Technology Pioneers and Social Entrepreneurs, will also contribute. The Annual Meeting 2015 will provide a platform for over 50 initiatives that are currently being led by the Forum, with the aim of contributing positive change to the global agenda, as well as those of industry, business and the worldâ€™s regions. These include a public-private initiative to help achieve zero net tropical deforestation caused by agricultural commodities by 2020; a multistakeholder endeavour to stimulate more cross-industry and cross-ministry strategic dialogue on ways to strengthen multistakeholder Internet governance ‎and cooperation; and the Forumâ€™s Gender Parity Taskforces, which work with governments worldwide to improve economic opportunity for the female half of the population. Supporting these endeavours, the Meetingâ€™s programme will feature over 250 sessions, each researched and designed using input from the Forumâ€™s Global Agenda Councils, a network of over 1,500 world-class experts that is focused on identifying and delivering solutions to over 80 individual global challenges. This programme will be more open to the public than ever before, with over 20 televised sessions and an expanded multilingual webcast capability covering 60 sessions, all contributing to a conversation to be played out over social media as well as the Forumâ€™s blog. Complexity, fragility and uncertainty are potentially ending an era of economic integration and international partnership that began in 1989. What is clear is that we are confronted by profound political, economic, social and, above all, technological transformations. They are altering long-standing assumptions about our prospects, resulting in an entirely â€œnew global contextâ€� for decision-making. Leaders are looking to strengthen their situation awareness and contextual intelligence. The World Economic Forumâ€™s Annual Meeting convenes global leaders from across business, government, international organizations, academia and civil society in Davos for strategic dialogues which map the key transformations reshaping the world. The overall picture is particularly stark for the thousands of business leaders and politicians gathering there. A gloomy atmosphere of fin-de-rÃ¨gne has dawned upon Davos, where the World Economic Forum is due to start on Wednesday, after a year that has seen the twin Malaysia Airlines disasters, the conflict in Ukraine, the worst ever Ebola outbreak, terrorists on the rampage in the middle of Paris, and a growing mistrust in all institutions all over the planet. Until 1971, Davos was just a quiet Swiss alpine town, the place chosen by Thomas Mann for the setting of his novel The Magic Mountain. Thanks to the hard word, acumen and a great deal of chutzpah from one single man, a local economist called Klaus Schwab, it became one of the most exclusive clubs on the planet, the place where, once a year, during the "World Economic Forum" the rich and the powerful can go only when they are personally invited and where one can rub shoulders in hotel lobbies with the likes of Angela Merkel, Bill Gates, Bono or Paolo Coelho. Most European countries are sending their heads of state or government to this week's gathering of world leaders and power brokers, while high-level delegations are expected from China, the United States, Japan and Russia. But the message will be gloomy. Trust in institutions has fallen to levels not seen since the beginning of the financial crisis, as a global survey found Tuesday. PR firm Edelman found that the general level of trust in institutions â€” among college-educated people around the globe â€” fell to levels not seen since 2009 in many of the markets it surveyed. Its overall trust index is down a percentage point from the previous year at 55 %. The highest levels of trust were recorded in the United Arab Emirates at 84 %, followed by India at 79 %. Trust levels in major developed economies, such as the United States, Germany and France, hovered around 50 %. Of those surveyed, Japan was ranked lowest at 37 %. Trust in government recovered somewhat but politicians remain the most distrusted group, assessed at 48 %. The list of places where distrust among the general population is now dominant includes the United States, Japan, Germany, France, Britain, Italy, Russia and Turkey. Richard Edelman, the firm's president and CEO, blames the "unpredictable and unimaginable events of 2014" for the growing malaise. Co-chairs of this year's meeting include World Bank President Jim Yong Kim and Google Executive Chairman Eric Schmidt. But gone are the times when messages from Davos were received as oracles. With the crisis entering its seventh year, escalating violence and intolerance, and a growing number of conflicts, the powerful and the famous would need to provide more than words to restore trust. As the WEF's Annual Meeting begins today, Swiss Armed Forces have deployed 5,000 personnel to secure this remote town that has a population of about 10,000 and will host over 2,500 of the global elite through this week. The Armed Forces' operation here includes protecting facilities and individuals, safeguarding air sovereignty, securing Swiss airspace, and with logistics, primarily through its Coordinated Medical Services (CMS), the Swiss Army said. "Up to 5,000 armed forces personnel are serving in this civil affairs mission, from January 12-26, 2015," it said in an update on its WEF operations. In the event of an unauthorised demonstration, the authorities would take any necessary measures and offenders would be prosecuted. The 45th annual World Economic Forum is this week. The conference takes place in a snowy, mountainous Swiss town, Davos, where 1,700 private jets are expected to drop off tons of billionaires and celebrities over the next four days, Newsweek reports. That's much more air traffic than the area usually gets. Helicopters are also a popular form of transportation; 20% of last yearâ€™s 2,500 conferencegoers reportedly flew in choppers to Zurich airport. Attendees include Bill Gates, Googleâ€™s Eric Schmidt, Alibaba founder Jack Ma, Facebook COO Sheryl Sandberg, Yahoo CEO Marissa Mayer, and Business Insider CEO Henry Blodget, as well as about 40 world leaders. According to a report released by Oxfam today, in 2014, the most affluent 1% in the world owned 48% of the worldâ€™s wealth, meaning that just 52% is distributed between the other 99% of the global population. In the study Oxfam warns that if this trend continues, the combined wealth of the worldâ€™s richest 1% is set to surpass that of the other 99% by 2016, with more than one billion people living on less than $1.25 a day. Most of this wealth is earned in the financial, insurance and pharmaceutical sectors, 90% of the billionaires listed are male and in the EU the collective wealth of this super-rich elite increased from of $34bn, to $128bn between March 2013 and March 2014, the study says. To tackle this inequality, the international charity calls for a major clamp down on tax evasion by big companies and rich individuals, and for free universal public services by 2020, including education and health. 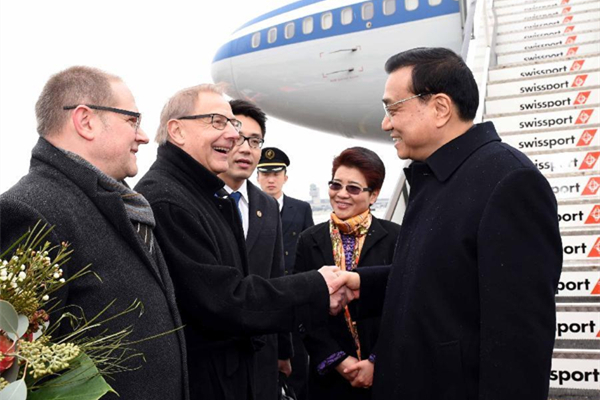 Chinese Premier Li Keqiang arrived in Zurich Tuesday to attend the World Economic Forum (WEF) annual meeting in Davos and pay a working visit to Switzerland. The Chinese premier expected to have an in-depth exchange of views with participants on the topics of world economy, international and regional situations, China's reform, opening up and economic development, as well as other hot issues of common concern. "We can make joint efforts in maintaining world peace and stability and promoting the world economy to grow in a strong, sustainable and balanced manner," Li said. The premier's visit came as China and Switzerland are set to celebrate the 65th anniversary of their diplomatic relations. Ukrainian President Petro Poroshenko will cut short his visit to an economic forum in Davos, Switzerland, to head home in view of the "worsening situation" in rebel-held eastern Ukraine, his spokesman said. "The armed forces chief of staff and the defence minister have just reported to him on the situation near the Donetsk airport," Sviatoslav Tsegolko said on Facebook. "In view of the worsening situation, the president has decided to cut short his visit to Switzerland and will return to Ukraine tomorrow." Ukraine earlier accused Russian forces of attacking its soldiers fighting pro-Kremlin insurgents in the ex-Soviet republic's separatist east. 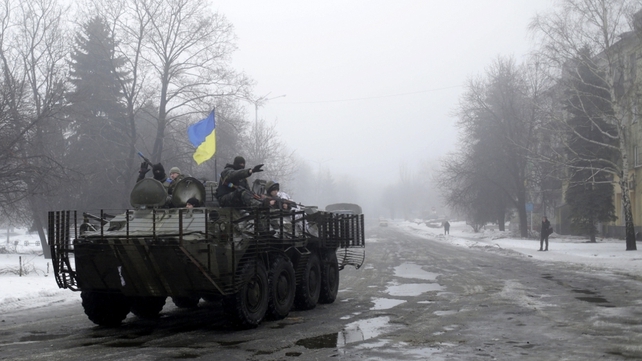 "In violation of all prior agreements, Ukrainian military units were attacked in the north (of the war zone) by regular units of the Russian armed forces," Ukrainian military spokesman Andriy Lysenko told a hastily convened press conference in Kiev. This will be the last time anti-globalisers protest at the World Economic Forum in Davos. From 2016, the ministers, chief executives, columnists and assorted quangocrats who gather at the Swiss resort wonâ€™t see so much as a stray dreadlock: eco-protesters say the meeting is no longer worth picketing. You can see why they might feel conflicted. Davos is a place where powerful people pick up consultancies and directorships and international posts. Left-wingers rightly resent this. What they see, in Marxist terms, is a gang of rentiers coming together to devise new means to live off the sweat of the workers. Against a background of dazzling, empty slopes â€“ there are no skiers, because every chalet has been hired by an NGO or a multi-national â€“ the few hatch schemes against the many. Itâ€™s like an Ayn Rand novel, where lobbyists reach cosy arrangements with each other in elliptical language. Remember the way she described members of a company board? â€œMen whose careers depended on keeping their faces bland, their remarks inconclusive and their clothes immaculateâ€�. Thatâ€™s Davos. "It's not whether this is going to happen, it's already happening... We live in a surveillance state today." 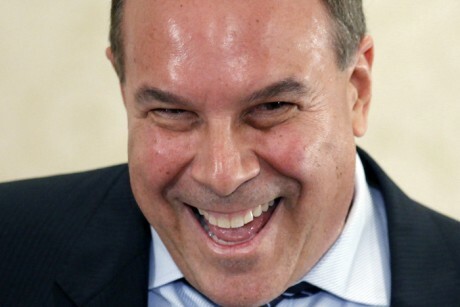 Billionaire Jeff Greene, who amassed a multibillion dollar fortune investing in real estate and betting against subprime mortgage securities, says the U.S. faces a jobs crisis that will cause social unrest and radical politics. Greene, who flew his wife, children and two nannies on a private jet plane to Davos for the week, said heâ€™s planning a conference in Palm Beach, Florida, at the Tideline Hotel called â€œClosing the Gap.â€� The event, which he said is scheduled for December, will feature speakers such as economist Nouriel Roubini. Bill Gates is now promoting â€œdigital currencyâ€� in third-world countries, which will make the poor even more dependent on central banks while also turning them into guinea pigs for the development of a â€œcashless societyâ€� in the U.S. and Europe. Jamie Dimon seems to think if he can tell his Big Lies long enough, heâ€™ll be believed. In reality, the only ones who will buy his blather are his fellow members of the elite banker looting classes and their hired help. DW's Michael Wetzel gives his round up of what the global economy's most important figures had to say at this year's World Economic Forum. The rise of populism in U.S. politics is a direct result of a growing disparity in trust between the vast majority of the population and the global elite, public relations executive Richard Edelman told CNBC on Wednesday at the World Economic Forum in Davos, Switzerland. This gap in trust between the "informed public" â€” college-educated professionals with a household income in the top 25 percent for their age in their country â€” and the general population is now the largest ever, his eponymous communications marketing firm has found. "Donald Trump is a clear result of this mass population's dissatisfaction with the current crop of candidates," Edelman said. He believes Trump is a serious candidate, but he's also convinced that voters with less conservative views will eventually rise up and speak out against the candidate for the Republican nomination. Trump's popularity was directly linked to "mass dissatisfaction with how they are being talked to," Edelman said. Richard Edelman is the son of Daniel Edelman the founder of the public relations company, Edelman, and his wife Ruth Ann (Rozumoff). Edelman sits on the board of directors of the Ad Council, the Children's Aid Society, the Atlantic Council, the International Business Leaders Forum, the Gettysburg National Battlefield Foundation and the National Committee on United States-China Relations. He is also a member of the World Economic Forum, the Arthur Page Society, the PR Seminar and a director of the Jerusalem Foundation. In 2009, Edelman was appointed executive jury chair of a new award recognizing the creative use of unpaid publicity, given at the Clio Awards. Elites Spill Intel In DAVOS: America's Obsolete! Itâ€™s NOW Time For Global Governance and The NWO To Rule! Happening now through January 23rd, 2016 the New World Orderâ€™s World Economic Forum is hosting their annual Davos-Klosters meeting, in Switzerland where 2,500 politicians, celebrities, and business leaders from all over the world are attending this â€œBilderberg styleâ€� meeting. 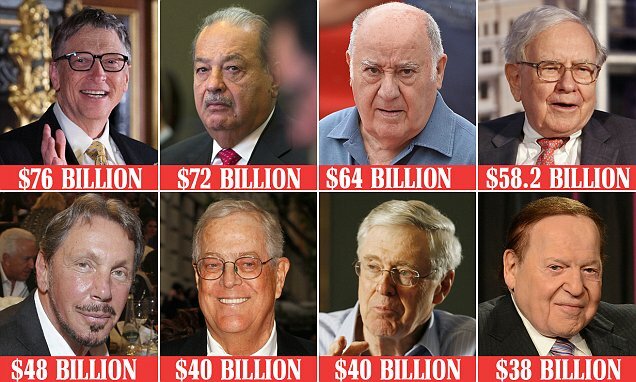 Their attendees include 53 people who own as much wealth as the poorest half of the world and over 1,000 of the world biggest multinational corporations all of whom have their eye set on The New World Order. In a document called Global Redesign Initiative (GRI) put out in by the World Economic Forum they proposed a transition away from international government decision making body into a system of multinational-stakeholders governance. Simply put they are, by stealth, replacing our model of voting in governments who negotiate treaties which are then ratified by our elected representative, to a model where a self-selected group of â€˜stake-holdersâ€™ make decisions on our behalf. This is a terrifying thought to anyone who values freedom. This is an online Readersâ€™ Guide to the outcome of the World Economic Forumâ€™s 18 month Global Redesign Initiative (GRI) project. The report released as Everybodyâ€™s Business: Strengthening International Cooperation in a More Interdependent World was edited by Richard Samans, Klaus Schwab, and Mark Malloch-Brown. Prompted by the world financial crisis that started in 2007/2008, the three most senior leaders of the World Economic Forum (WEF) - Klaus Schwab, its Executive Chairman; Mark Malloch-Brown , then its Vice-Chairman; and Richard Samans, its Managing Director â€“ initiated and led a major re-think of global governance. They used the annual sessions of Davos and the regional sessions in Asia, Europe, Africa, Southeast Asia, and Latin America as platforms to develop ideas. They brought the challenges of this undertaking to a series of WEF-sponsored Global Agenda Action Councils, industry workgroups, and academic researchers and policy conferences. WEF chose Doha, Qatar in May of 2010 to launch the final report from their Global Redesign Initiative. There are certain words used at Davos that get people nodding in agreement â€” these include â€œsustainabilityâ€�. There are others that are guaranteed to get the crowd at the World Economic Forum looking concerned. This yearâ€™s word is â€œpopulistâ€�. The populists are those political forces that advance ideas that are generally seen as dangerous or facile to those at Davos. These ideas include the US building a wall to keep out immigrants, Britain leaving the EU or anybody raising tariffs or dismissing climate change. And these forces are on the rise. Much of the talk in Davos is of doom and gloom. One man isnâ€™t so downbeat. 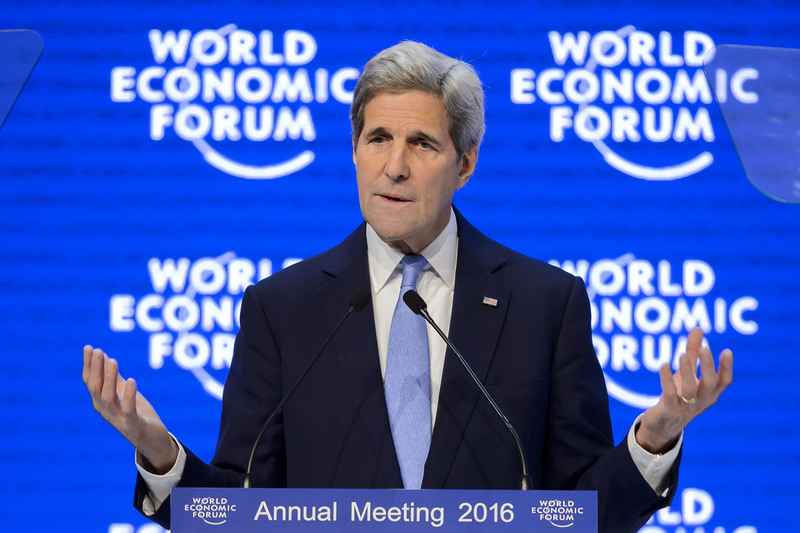 U.S. Secretary of State John Kerry struck a rare note of optimism Friday in a speech to executives preoccupied by the faltering world economy, Chinaâ€™s woes and the rise of geopolitical risk. Yes, a â€œnarrow tribalism, aggressive nationalismâ€� and â€œviolent extremistsâ€� present a real threat, but that isnâ€™t the whole story, according to the top U.S. diplomat. Rather, the world should grasp â€œa powerful sense of confidence in what we can achieve,â€� he said. The European Central Bank has ample ammunition to fight a fresh global downturn and is ready to act decisively to stave off deflation if necessary, Mario Draghi has assured nervous investors in Davos. The ECB's president sought to play down the violent market squall of recent weeks, insisting that Europe's economic recovery is well on track and may even accelerate as the refugee crisis leads to a surge of fiscal spending. But now, the bitter clingers are rising up, pitchforks at the ready. They are rallying behind Donald Trump â€“ Trump! â€“ in a massive rejection of every value a Davos Man holds dear. Theyâ€™re convinced the elites have failed them. They blame the elites for the disruptions of globalization and technology that have stolen their jobs and their childrenâ€™s futures. They will never work at Google. And theyâ€™re mad as hell. Theyâ€™ve lost all trust in the business and political and intellectual and celebrity class, jetting to their conferences 60,000 feet in the air. That includes the folks in Davos â€“ the smartest people in the world, with no idea what to do. Today is the last day of the 2015 World Economic Forum, a weeklong meeting of the global elite addressing the biggest issues we face: climate change, inequality, and terrorism, among others. Politicians, business leaders, diplomats, and a few celebrities paid about $40,000 each to attend the gathering in Davos, Switzerland, where theyâ€™ve yakked about how to solve problems like how 2014 was the hottest year on record and how the richest 1 percent of humanity will own more wealth than the other 99 percent combined by the end of 2015. One question: Who decided we should listen to proposed solutions from the same movers, shakers, and money makers whose decisions got us into this mess? Around 2,500 attendees flew in on 1,700 private jets and a few hundred helicopters, yet the media hangs on their every word, certain that these high-society, high-carbon elites have smart things to say about stopping climate change. Despite all the talk, the wealthy elite gathered in Davos gain too much status, wealth and power from the maintenance of our destructive economic system to spearhead its transformation. " Not only has the Davos crew has reaped enormous riches from the way things are, but these plutocratsâ€™ obscene affluence also shields them from the negative ramifications of their choices and actions. How can we trust these people to fight a problem that hardly affects them? Climate change ranks so low among business leadersâ€™ concerns that this yearâ€™s global survey of CEOs failed to even included it among the top 19 issues. Whatâ€™s more, money and status effectively segregates the elites from the less fortunate billions who do suffer as the climate changes and the economy takes over the earth. The 99 percent are not represented at Davos, much less the vulnerable populations whose poverty the forum aims to tackle by any means short of sharing their vast wealth. Women make up just 17 percent of participants, despite the forumâ€™s focus on creating social inclusion. And two-thirds of conference-goers hail from just two continents, Europe and North America, but in reality the global super-elite have more in common with each other as one-percenters than with fellow citizens of their home countries. Billionaires and politicians gathering in Switzerland this week will come under pressure to tackle rising inequality after a study found that â€“ on current trends â€“ by next year, 1% of the worldâ€™s population will own more wealth than the other 99%. As metaphors go, this one takes some beating. This week, some of the richest people on Earth will gather high up a snowy mountain in the worldâ€™s biggest tax haven. Most will have paid big money to attend the three-day meeting in Davos: the most exclusive memberships cost somewhere in the region of Â£100,000 each. From there, they will relay thoughts on global risks and opportunities to the ski-jacketed press corps. They will talk about gender inequality and technological innovation. The message will go out: however turbulent the global economy, it is being capably stewarded. These are our economic elites as they want the rest of us stuck on the flatlands below to see them: big-thinking, well-intentioned, hard-working â€“ and thoroughly meritocratic. This is also how they justify the mammoth rewards they enjoy: we sweat for it; weâ€™re worth it. The follow-up is usually only implied, but it is the one that underpins the entire system: put in enough hours and this could be you. Set against that promise the finding from Oxfam that 62 billionaires have more wealth than half the worldâ€™s population â€“ 3.5 billion people â€“ share between them. Ponder those numbers for a moment because they make up possibly the most grotesque ratio in the world economy today. Go through the 62 richest people and plenty of names jump out to show that any notions of meritocracy are a big fat lie. None of those 3.5 billion men, women, boys or girls will be born into a fortune such as that enjoyed by the Waltons of Walmart fame, in which just six people own $149bn. Nor will they ever get to be a Saudi royal such as Prince Alwaleed bin Talal, worth $26bn. But that grotesque index tells us that something else has gone badly wrong. In other words, in the five years since the world recession, the very richest have grown inexorably wealthier. And thatâ€™s not because the global economy is booming, as every worker on a pay freeze and every family seeing their benefits cut knows. Itâ€™s because we are living in a period of trickle-up economics, in which the middle- and working-classes have handed over money to those right at the very top. The figures prove him right. According to the Berkeley economist Emmanuel Saez, between 2009 and 2012 the top 1% of American households took 91 cents out of each extra dollar that the country earned. The other 99% of Americans had to share the remaining 9 cents between them. Massive inequality has allowed the 1% to buy political influence as never before in postwar history. Indeed, the super-rich now practically write their own tax laws â€“ such as the way senior executives of Britainâ€™s biggest businesses were invited by George Osborne to advise on overhauling corporation taxes. They get to ensure that tax havens are treated with due leniency, all the better to hide their trillions in them. They buy their own politicians, as with the shadow-bankers who funded the Conservative election campaign or the billionaire Koch brothers using their fortune to tip the US presidential contest. Indeed, the more ambitious decide to become politicians. Think not just of Donald Trump but former bond trader turned media mogul turned mayor of New York Michael Bloomberg. The great mistake made by the mainstream left and right, even by NGOs such as Oxfam, is in imagining that the super-rich, now enjoying such massive riches, are somehow playing by the same rules as the rest of us. That they are â€œwealth creatorsâ€� providing jobs and investment for the rest of us, or that they might give up their tax havens. If that ever were the case, it isnâ€™t now. A tiny minority has gained from massive tax cuts and legislative leniency about where they shove their money. They have siphoned off gains in salaries and profits wherever possible and enjoyed hundreds of billions flowing into their asset markets. Meanwhile, the rest of us who provide the feedstock for their revenues see our welfare states hollowed out, our wages frozen and our employers failing to invest. But none of that matters very much in Davos. When these living fossil puppet kakistocrats keel over the Nefilim will just promote new ones. Paris (AFP) - Governments stung by the political backlash from disgruntled voters left worse off by three decades of globalisation are now scrambling for solutions, but there is no easy fix and the populist remedies on offer risk making things even worse, analysts say. The biggest problem facing economies are business leaders "getting rich on the backs of others while not contributing anything of value to the economy", according to Deaton. It may have just been coincidence, or perhaps something more symbolic, but whatever it was, Joe Biden saw the lights go out on him as he mentioned US â€œleadershipâ€� during his last major speech as vice president, in Davos, Switzerland. "We are going to retain our position of leadership," Biden was telling the audience at the World Economic Forum in Davos, when the lights on stage began to dim. DAVOS: The US has the most to lose from the controversial Justice Against Sponsors of Terrorism Act (JASTA) bill, Saudi Arabiaâ€™s foreign minister has said. The billâ€™s limitation of sovereign immunities would leave the US open to being sued by almost every country on the planet, Adel Al-Jubeir warned at the World Economic Forum (WEF) Annual Meeting in Davos. â€œThe country that has the most to lose from dilution of sovereign immunities is the US itself. And American officials know this. Because America has the largest footprint in the world, they operate all over the world, theyâ€™re fighting wars all over the world,â€� he told the WEF meeting on Tuesday. Al-Jubeir, answering a question posed by Arab News, said that he hoped Congress would see sense regarding JASTA. â€œWhen you dilute sovereign immunities, you turn the international order into the law of the jungle. For example, allowing a country to use your airspace in warfare could subject you to a lawsuit. Using drones could subject you to lawsuit,â€� he said. The Kuwaiti newspaper, al-Qabas said in a report that Adel al-Jubeir, the 50-year-old Saudi Foreign minister has been enmeshed in yet another public disgrace by taking part in "obnoxious male parties in Thailand", Awd News reported. 6. (S) Comment: As a senior royal advisor who has worked for King Abdullah for eight years now, al-Jubeir's views generally track very closely with those of the King. It seems likely that King Abdullah, Prince Muqrin, and Prince Saud al-Faisal will offer Musharraf pledges of strong support in their meetings today. We note that the Saudis have an economic hold on Nawaz Sharif, sine he was reportedly the first non-Saudi to receive a special economic development loan from the SAG, with which to develop a business while were in exile. We will report further information on these meetings as it develops. End Comment. WASHINGTON â€” President Trump is expected to attend the World Economic Forum at Davos, Switzerland, in the coming weeks, an administration official said Tuesday. Globalism ? NO!! It''s Globalist REPLACISM !!! Renaud Camus, running for presidency in France, insists on the danger of "replacism", which tends to substitute a people, a civilization, an history, a culture, a nation with another through forced immigration. Never has global replacement been spread with such cynicism. Never has the will to change people been so obvious. Never has indifference to what man and woman are in their own characteristics, irreducible, cultural, national, familial, has been proclaimed so provocatively. Never has the necessity and the urgency of the revolt been so strong. We regroup. 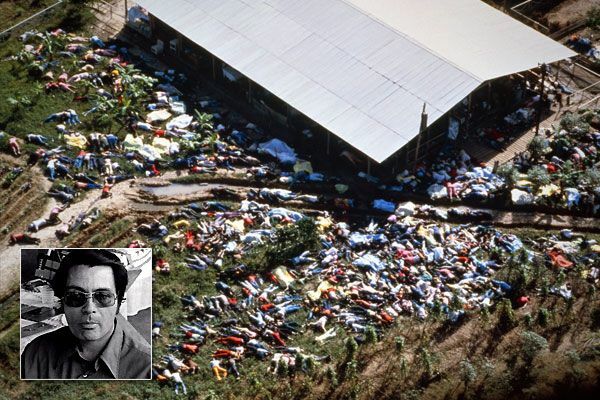 Constitute a force that can no longer be ignored genocide by substitution, all those who drown people and beings in the spreadable pulp at the mercy of the Indifferentiated Human Matter (IHM). Joe Biden "Whites will be a Minority in US by 2017 and that's a good thing "
Soros : I WILL BREAK THEM !!! I want you to squeeze! 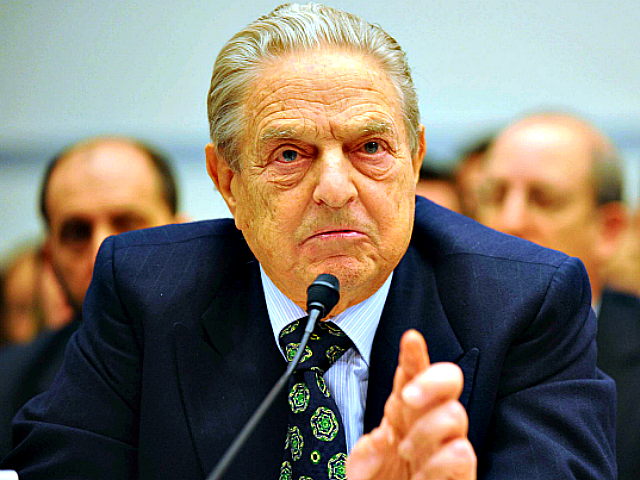 The progressive billionaire speculator George Soros has said he will â€˜fight backâ€™ against the â€œdominant ideologyâ€� of nationalism, whilst admitting that favoured globalist project the European Union is â€œon the verge of a breakdownâ€�. The hedge fund manager and convicted felon, who initially became famous for having made $1bn by betting on the devaluation of the pound in 1992, is reported to have lost close to a $1bn after the stock market rallied following Trumpâ€™s win. Mr Soros attributed the rise in the markets to Mr Trumpâ€™s pledge to cut regulation and taxes, but told the elite gathered at the World Economic Forum that the good times under Trump wouldnâ€™t last. Soros said that after Trump takes office â€“ in under 24 hours â€“ â€œreality will prevailâ€œ. Soros, a Jewish Nazi collaborator, said he was confident Mr Trumpâ€™s powers would be limited by Congress. â€œHe wonâ€™t be able to get away with being a dictator,â€� he added. 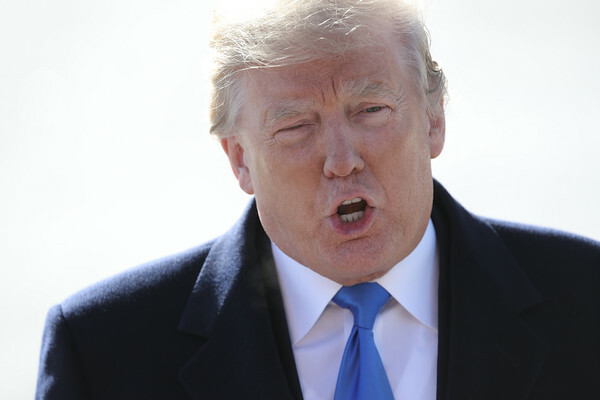 President Donald Trump is set to travel to Switzerland, where he will try to pitch the American business environment to global corporate and political leaders. Trump will try to fight the perception of the event as a gathering of wealthy elites, as he promotes a populist, anti-globalism agenda. Presidents have typically avoided the event, but observers say Trump's trip carries less risk than usual. Several world leaders criticized trade protectionism ahead of Trump's arrival. A woman holds a sign with a portrait of the US president during a protest against his planned visit to the World Economic Forum in Davos, in Bern on January 13, 2018. President Donald Trump is slated to jet to Switzerland on Wednesday night to push for investment in the United States â€” while rubbing elbows with the members of the elite global "establishment" he has repeatedly thrashed. At the World Economic Forum in Davos, Trump will be forced to balance the anti-globalization populism that propelled him to the White House and his desire to strike business deals with government leaders and executives. No sitting president has attended the event in nearly two decades, partly to avoid the perception at home of close ties to the wealthy individuals who typically attend. For Trump, at least, the chance to go to Davos and take an economic victory lap has few apparent drawbacks, according to political historians and analysts. With partisans at home well entrenched in their views of the president and leaders abroad already skeptical of him, Trump's trip to mingle with the wealthy and powerful appears to carry less risk than it has for past presidents. With the partial government shutdown set to break a record and become the longest in US history over the weekend, President Trump has decided that he won't be making a return appearance to the World Economic Forum in Davos this year. Because of the "great importance of Safety for our Nation, I am respectfully cancelling my very important trip to Davos," Trump said. The Rothschild Family owns 80% of the world's wealth, with a net worth of $500 trillion. I forget Rockfellers. Davos was a boring opportunity this year. No big news, the usual rich, indeed half (only 1500 private jets instead of 3000, but at least so he got off a piece of polar ice cap in less, complete with bears), and only triviality. As some have pointed out perhaps, to make good investments this year we must do the opposite of what is indicated by the official meetings. Only occasion of interest was the speech by Soros, who, for those who wish, can read it here. In this case the billionaire was unleashed against those he sees as the two enemies of his "open society", that is his personal dream of a society without borders, in which all are equal, all subjects to the same way of the great capital, ie of him and of the small nucleus of hyper rich. His enemies, who attacked directly were two: China and Russia. Both these great countries are seen as a threat to his dream, a serious danger because now he can make use of more and more of the Artificial Intelligence for social control, also through the Social Credit Monitor system. His enmity for a dangerous public social credit system is obviously a go-ahead for the development of other social credit systems, already in development, private, completely removed from social control. An authoritarian state is in any case a state, submitted to the Government of the Law. A proven, superior to the law, no. "The unspoken social contract in China is built on steadily rising living standards. Xi Jinping: If the decline in the Chinese economy and the stock market is strict enough Such a downturn could also be the death knell of the Belt and Road Initiative, because Xi may run out of resources to continue financing and many loss-making investments "
What he said: ?Instead of letting ZTE and Huawei off lightly, [the United States] needs to crack down on them? If these companies came to dominate the 5G market, they would present an unacceptable security risk for the rest of the world.? What he said: ?I find the social credit system frightening and abhorrent? it will subordinate the fate of the individual to the interests of the one-party state in ways unprecedented in history.? What he said: ?Xi Jinping wants a one-party state to reign supreme? He is the most dangerous opponent to those who believe in open societies.? What he said: ?I want to call attention to the mortal danger facing open societies from the instruments of control that machine learning and artificial intelligence can put in the hands of repressive regimes? The instruments of control developed by artificial intelligence give an inherent advantage of totalitarian regimes over open societies.? What he said: ?Facebook and the others are on the side of their own profits?. This week, the global elite descended private jets to their version of winter ski-camp ? the lifestyles of the rich and powerful version. The World Economic Forum?s (WEF) five-day annual networking extravaganza kicked off in the upscale ski resort town of Davos, Switzerland. ... This year?s theme is ?Globalization 4.0?, or the digital revolution. The idea being, the potential tech take-over of jobs, and what wealthier countries are doing to lesser developed ones in the process. While the topic might be focused on the future, the present is just as troubling, if not more so, than the future. Such is the disconnect between real people and corporations. That?s what the estimated 600,000 Swiss Franc membership to be a part of the WEF constellation gets you as a CEO at the Davos table. Government leaders like German Chancellor Angela Merkel, Brazil?s president, Jair Bolsonaro and Chinese Vice President, Wang Qishan are in attendance this week. Business leaders like Microsoft co-founder Bill Gates and JPMorgan Chase CEO, Jamie Dimon will also take part in the festivities. Yet, even though the various leaders promoted their achievements, what?s lurking behind the pristine snowcapped Alps, is a dark foreboding of a less secure world. Nearly every major forecast from around the world is projecting an economic slowdown. Ready to help, is the answer. This month, yet another top Federal Reserve official noted that economic growth could be slowing down. That would mean the Fed should, as Powell indicated, switch from its prior fixed plan of ?gradually? raising interest rates to a more ?ad-hoc approach.? Indeed, Federal Reserve Bank of New York President John Williams, used Chairman Powell?s new buzz phrase, ?data dependence,? to indicate that the Fed would be watching the economy more. While he didn?t say it explicitly, it has become largely clear that the markets are determining Fed policy.